my mothers estate in Austria. She bought it in Austria. Do not know where or when. Thank you for submitting your item for appraisal. This appears to be a persian rug, second half 20th century, of mainly old rose colour with a geometric motif, according to the inscription manufactured in Bāft, capital of Baft County, Kerman Province, Iran. The qualitiy seems to be good, as can be expected from a rug of the Kerman province. 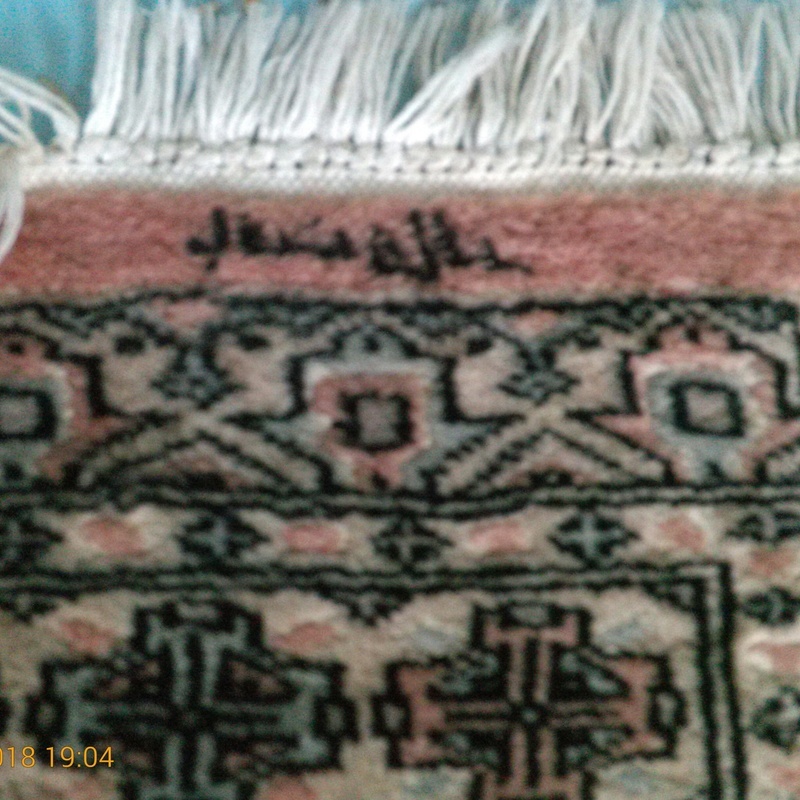 The estimate is based on similar rugs offered or sold at auction. Currently prices are pretty low, which might change due to trade restrictions and a ceasing supply. "Asking prices" in the trade can be much higher and vary. There is no measurement for the sentimental value you might attach to it.